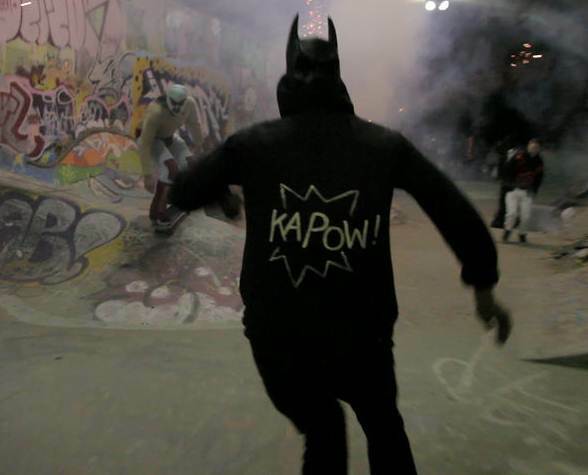 This video is about skaters that live in Vancouver at the leeside Halloween jam. They like to show their passion about skating by coming together as one to make this video. Some of them are in Halloween clothes and there are fireworks which to make the video more fun to watch. They are all having fun and showing the skills they have and doing new things. This is not just guys skating, there are girls skating with the guys. If you like to see skaters or want to be a skater, you should watch this and you will see how other people skate.